In their late 20’s, Rizal wrote Noli Me Tangere, Luna painted the Spoilarium and Bonifacio started the armed revolution. Those of us in our late 20’s today, what are we doing with our lives? We go on Facebook and Twitter, we chat, we over-pay for our coffees, we drink and party. A lot of us are forced to work in call centers and other outbound services that pay a tad better than other workplaces. What are we really achieving? This musing is paraphrased from and inspired by an Ambeth Ocampo quote that spread in Facebook some time ago. I can’t remember his exact words. But it went on something like that. I am in my late 20’s. Though I have never worked in a call center or any corporation for that matter, I understand the sentiment. It’s not just because young people want much money that they go to those workplaces, sometimes (or most times), it’s just the work that is available. At least it is the work that is largely available with a good pay. I’m a teacher and I also have some research projects, I have to say that friends in corporations have more financial stability compared to myself. In today’s society, we do need money to survive. To get money, we need jobs, and the jobs that are widely available are in fact, call center jobs. Maybe someday, the government will help Filipinos in the creation of jobs. No, not outsourcing from foreign companies but developing local industries for our citizens. They can develop local agriculture in the provinces. We can think of ways to create jobs, so we can stop exporting Filipinos; and start to create a self-sustaining Philippines. Maybe when this happen, we can have more time, energy and resources to develop the arts. Maybe then, we can inspire more people to be like Jose Rizal. We commemorate Rizal Day every December 30. There are a lot of arguments on his being declared as a National Hero, as well as the colonial agenda behind it. Nevertheless, his words are imprinted in us. He wrote the great Filipino novel, yet to be surpassed. I found a Facebook post once, computing the costs of Rizal’s education and travels; it is substantial, to say the least. But his relatively comfortable life and his opportunities to travel the world and educate himself does not make him any less of a hero. I have great respect for the revolutionaries, of course. Yet, there is something about fiction that immortalizes an age, just like what Rizal did with his Noli Me Tangere and El Filibusterismo. Through his text, his writings, his letter and his poetry, we shall never forget. What he left us should be substantial enough to remind us of our history. We should nurture the arts. Jose Rizal is proof enough of it. This reminds me of the last event I attended for 2011–2HOG: tula-dula-musika-pelikula last December 14 at PETA Theatre. Renato (Butch) Santos, as I find out through Google is a retired banker turned Palanca-winning poet. He pushes and explores the Filipino language in the creation of poetry. Though current usage such as jejemon and text renditions makes a lot of us cringe, he manipulates it into his poetry and makes it relevant to the Filipino youth. This is the challenge of art today, how can we make it relevant for Filipinos today? 2HOG is not just poetry, but inter-media performance. PETA called it cinepoetry or moving poems. The poems were written by Butch Santos while the performance was directed by Maribel Legarda. The visual inter-play was no doubt on the theatrical side–the movements, voices and general acting is larger than life. Such performance will not be out-of-place in a theatrical space. It feels like the actors and the poetry are trying to break out of the screen into the on-looking audience. Though there are quieter moments in the short performance, it is not made to be subtle. This is among the events that I wish I was able to show my students. Poetry has become detached to the Filipino youth, hearing it and seeing it move would help them appreciate the experience. Uploading it to YouTube is also an excellent idea. As a teacher, I know how difficult it is to get a printed text and convince a student to actually read it. But if it’s in YouTube, it can certainly be a different conversation entirely. (See the cinepoems in Youtube here.) Butch Santos even announced the link during the event, his username is Ewanlangatbpngkuwan. Yet, the experience of being there, despite the smallish crowd is something else entirely. The mood, the live music, the inter-play of the senses cannot re-created online. At least, not yet. I think that we need more performances of this kind to inspire the youth. Creating and performing should re-claim its place in the spotlight. Rizal was killed for his daring. Today’s artists are killed by a lack of support. If these performances could be made widely available, the public may then re-evaluate the role of art in their lives and perhaps may inspire them to think of what they can do for our country. Butch Santos was a banker for most of his life, but it did not stop him from being a poet. Neither should the call center industry stop our youth from being artists. As seen numerous times before, the internet is not a place to be limited, rather, it is a place to push boundaries. 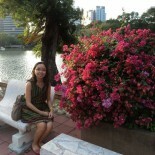 It was a struggle for Rizal to publish his work, it is no struggle for us to publish ours now. Granted, the accepted avenues may still be difficult to get to, but the advent of internet technology helps us break that barrier. The challenge now is to create something of value with the medium we are provided. 2HOG is just a start. Here are some photos that I have taken during the event. I still hope we can create more spaces for the arts, as well as nurture artists and future artists, so more events like this can be possible for more people. 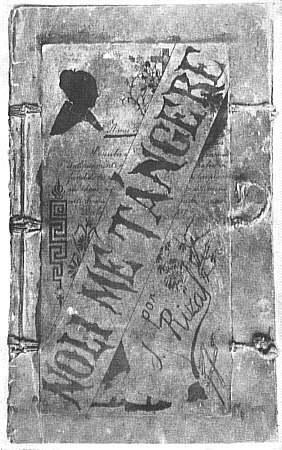 In time, we can see another great Filipino novel of Noli Me Tangere‘s proportion. It may not necessarily be in print but in inter-media such as this. This entry was posted on January 2, 2012 by Portia Placino in Art Events, Random Writings, Reviews and Musings, Theatre Review and tagged 2HOG, Ambeth Ocampo, Butch Santos, cinepoem, José Rizal, PETA, Theater Review.